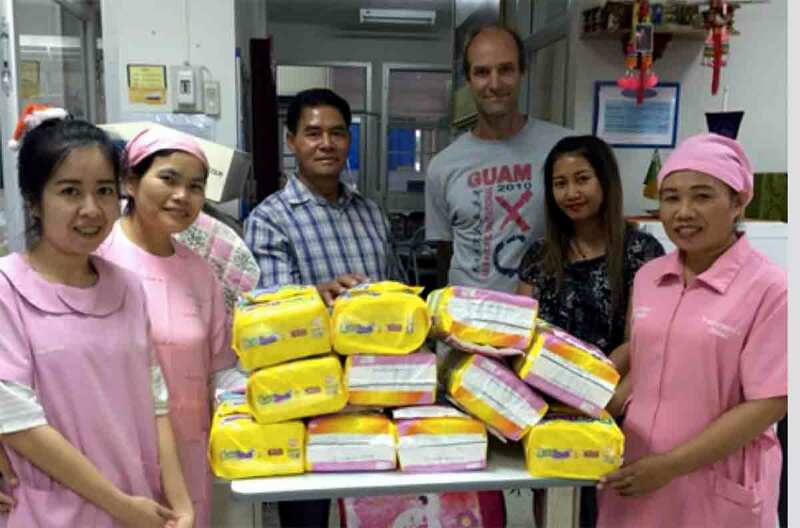 The amount will provide diapers to underprivileged newborns at a public hospital in the northern Thai city of Udon Thani over the next three years, far exceeding both schools’ original one-year target. ISB high school math teacher and cross-country coach Ed Hillmann was inspired to help the hospital after the birth of his twin daughters, Amelia and Carol, in April 2014. The twins were born six weeks premature at the hospital, the only one equipped in the region to handle such births. Following the experience, which included an anxious few weeks in the intensive care unit, Mr. Hillmann and his wife offered gifts to the hospital’s staff that were graciously declined and met with another request: disposable diapers. 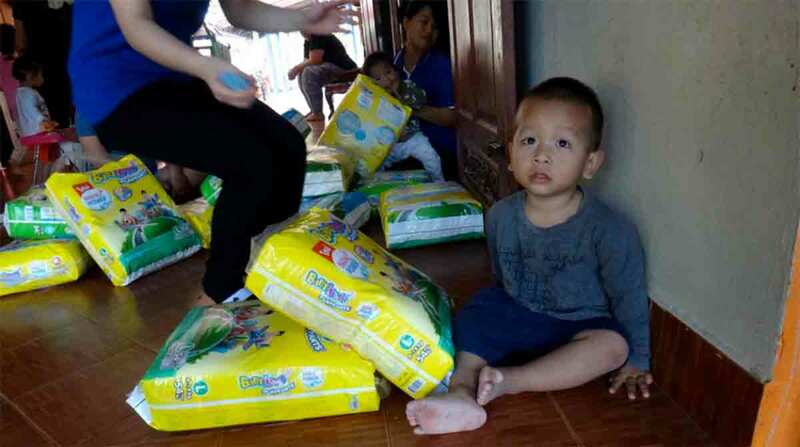 “Many of the villagers who go to the hospital struggle to pay for diapers while their babies receive prenatal care, which in some cases can last months. The government hospital covers all costs except diapers,” he explained. ISB teamed up with Mr. Hillmann’s former school, RIS, last semester to launch their fundraising campaign. 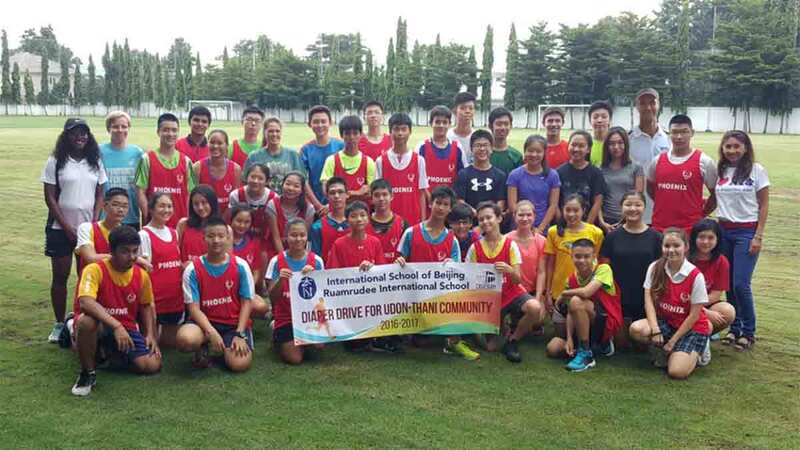 The partnership came about in September when ISB’s cross country team participated in a fun run with their RIS peers. On November 5, ISB held a “Lemonade Mile” run in the school’s stadium in aid of the diaper drive. In addition to contributions from runners, the event received a huge financial boost from its main corporate sponsor, Bimbo Bread. RIS also hosted its “Miles for the King” run on November 5 in honor of the country’s late monarch and to raise funds for the diaper drive. “The ISB community is fortunate to have been born on the ‘haves’ side. It is wonderful that our community strives to make every effort to help the ‘have-not’ side, be it through blood drives, homes with Habitat for Humanity, and now diapers. ISB is always looking for ways to help,” Mr. Hillmann added. 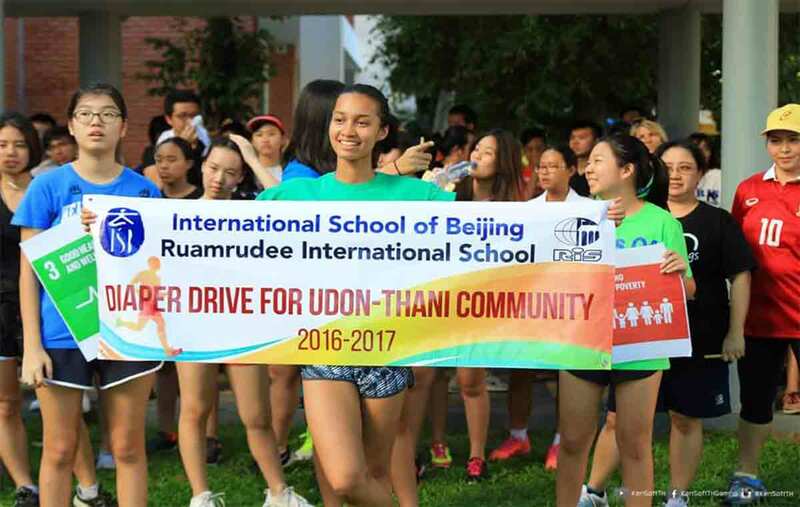 Success of the campaign was due to the efforts of many students and supporters of the ISB and RIS cross-country teams. Special thanks go to ISB students Vivian L, Christina R, Amanda Z, and Sophia C; Natalia Hollander, who guided the kids in every possible way; Ivan Chiu, who helped secure Bimbo Breads as lead sponsor. ISB is also grateful to the Sharon Houmier Foundation, which matched every RMB and Baht raised! Finally, the ISB community and PTA were beyond generous. Thank you for helping us make a difference.